Equipment failure and bad planning for delays caused the disruption to rail travellers over Christmas, a report by Network Rail has said. Thousands of passengers had their journeys disrupted when work near King's Cross took longer than planned. Trains were switched to Finsbury Park, a much smaller station. 'Not enough was done' in planning the switch, said the report, which included an apology from Mark Carne, Network Rail's chief executive. Work near London's Paddington station finished on time, but a safety check took eight hours longer than planned. 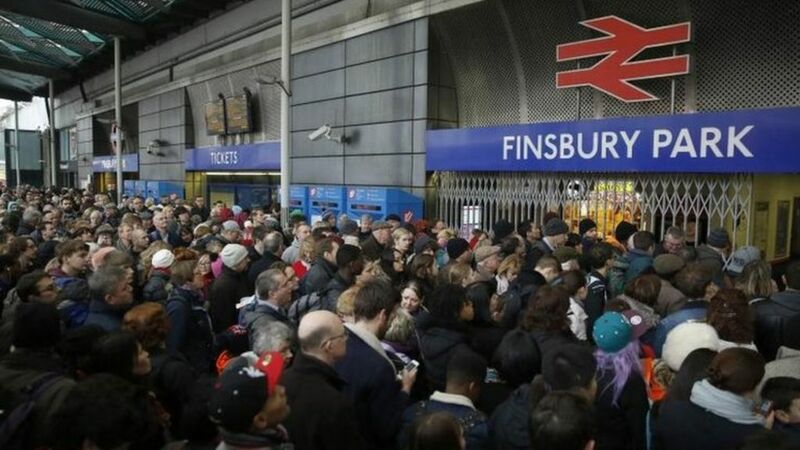 Equipment failure and bad planning for delays caused the disruption to rail travellers over Christmas, a report by Network Rail has said.